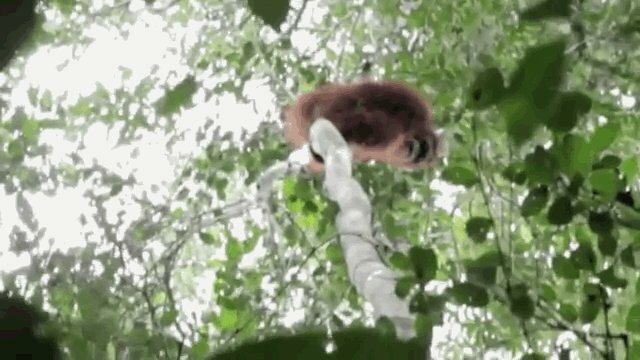 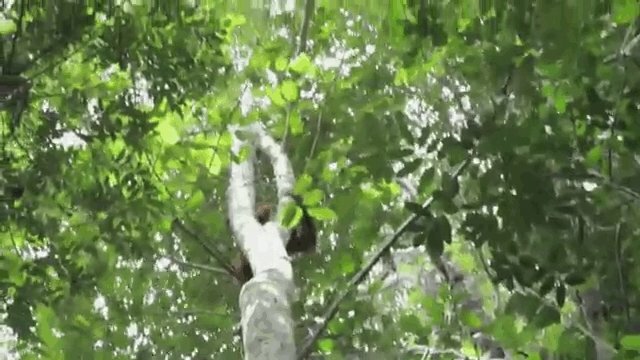 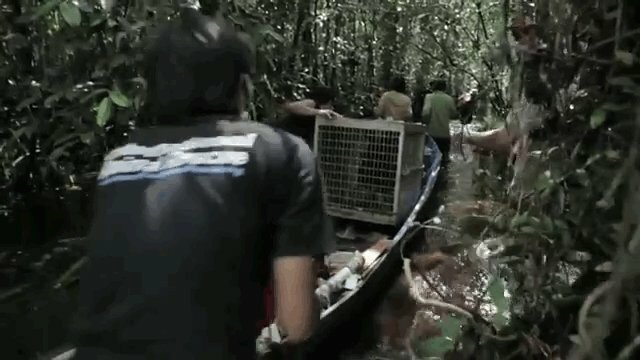 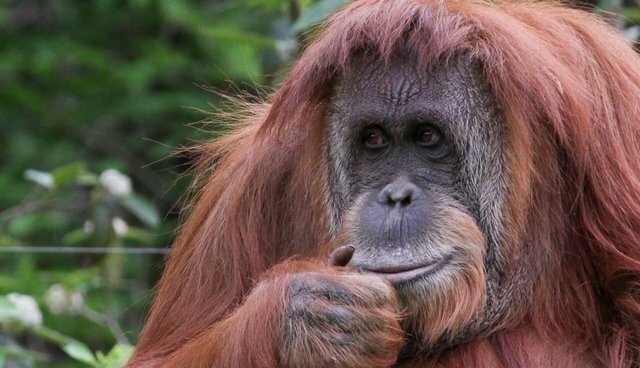 An 11-year-old orangutan named Pelangsi spent ten days trapped in a hunting snare in the jungle. 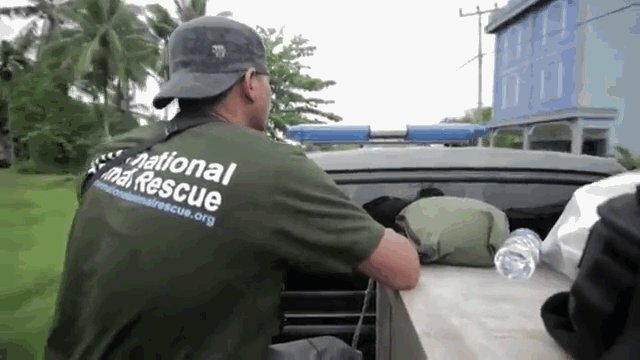 When rescuers at the International Animal Rescue (IAR) found him, things didn't look good. 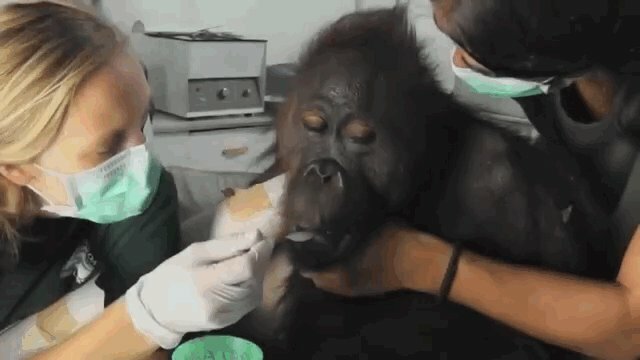 Veterinarians hand-fed him for two weeks. 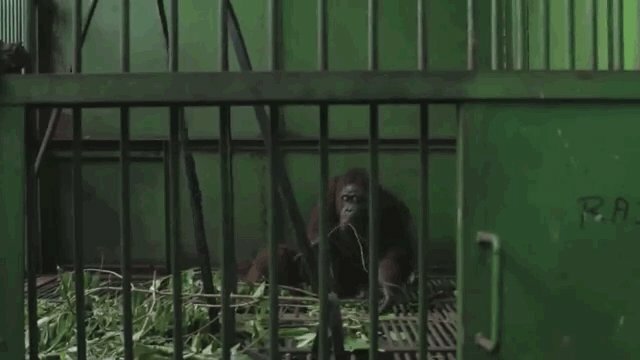 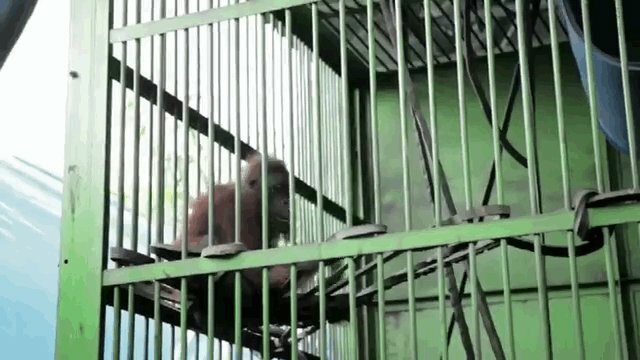 Pelangsi, who was named after the village near where he was found, was finally well enough to be moved to a cage. 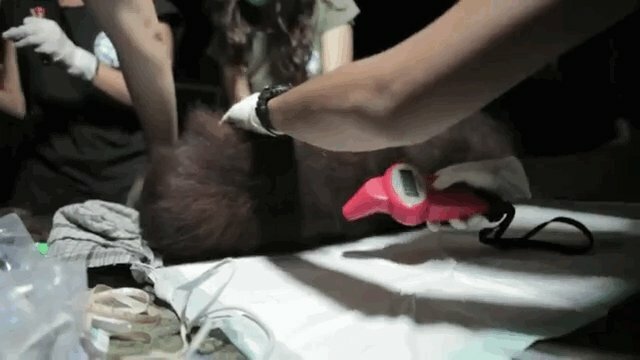 ... and was given routine checkups by the veterinarians. 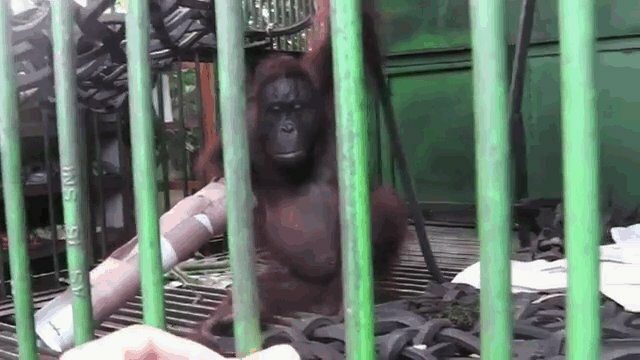 Even with one arm, Pelangsi was doing remarkably well. 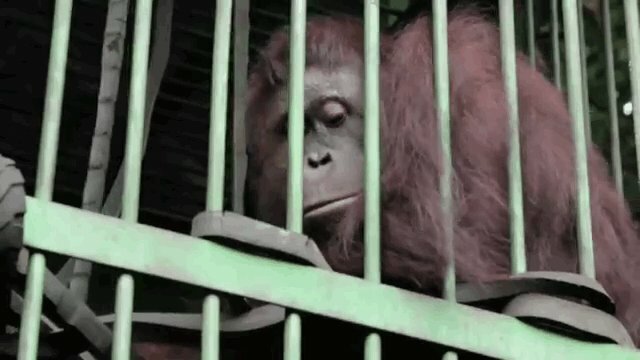 ...But he was clearly not happy in captivity. 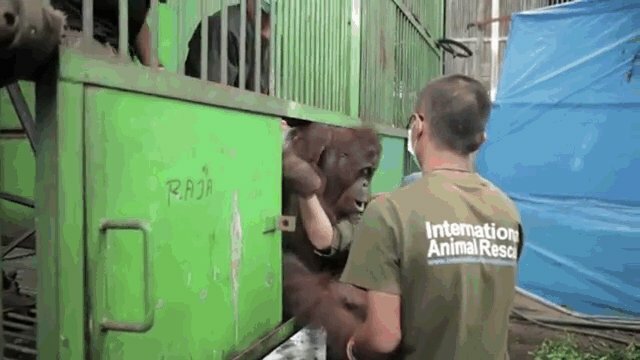 At long last, Pelangsi arrived at the release site. 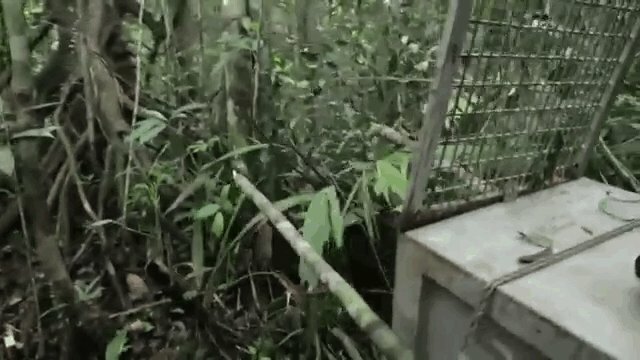 And all of a sudden, Pelangsi was back in the wild. 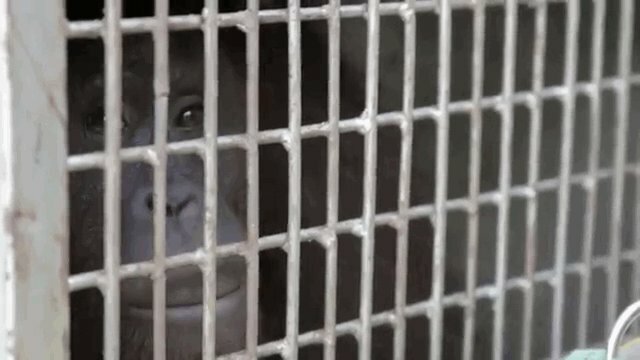 "Finally, Pelangsi is free again..."
You can see the entire video here.